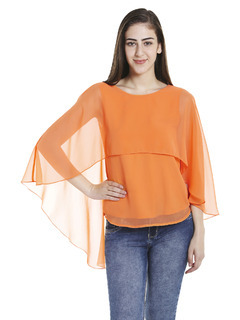 Accessorize with: A pair of solid pants, a pair of wedges and a handbag will complete this look! 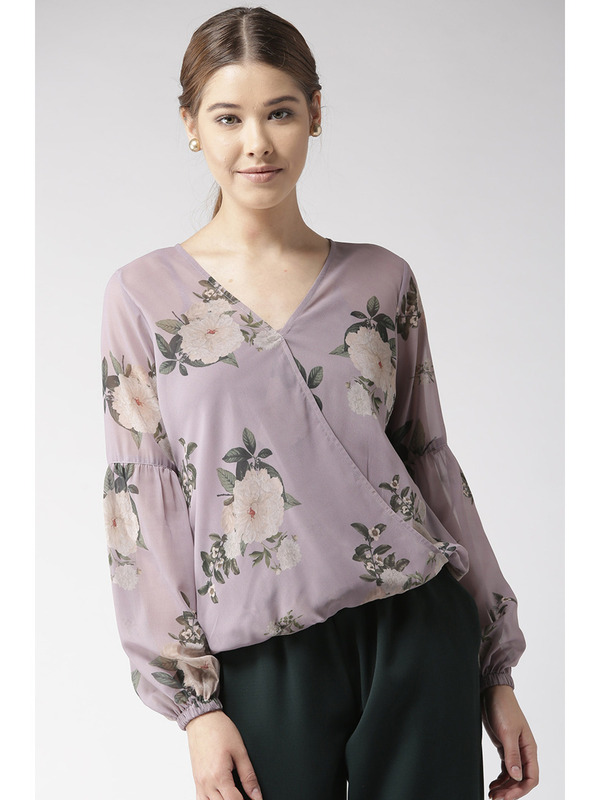 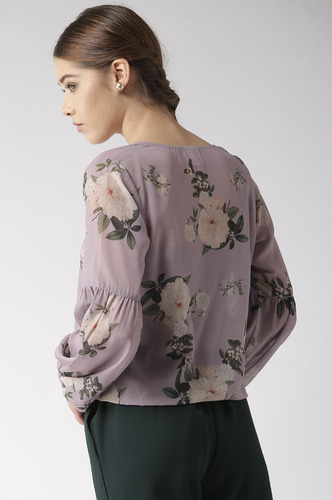 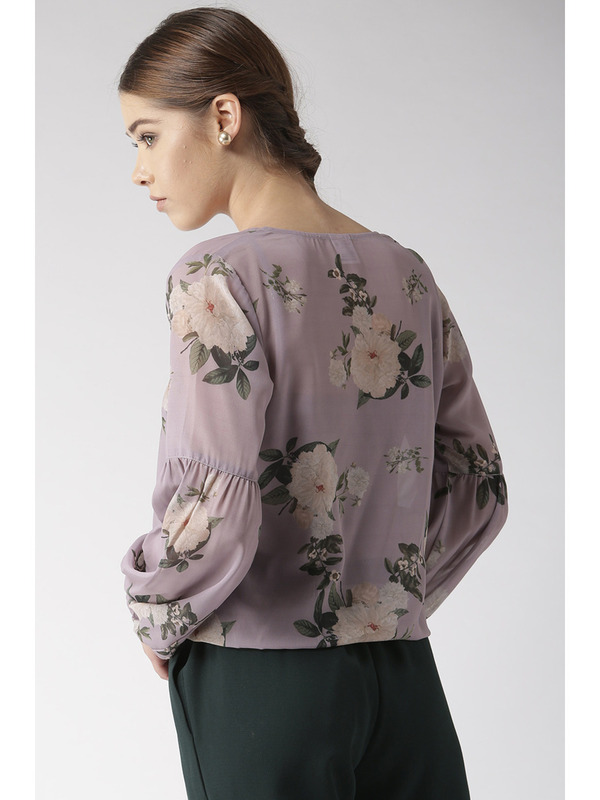 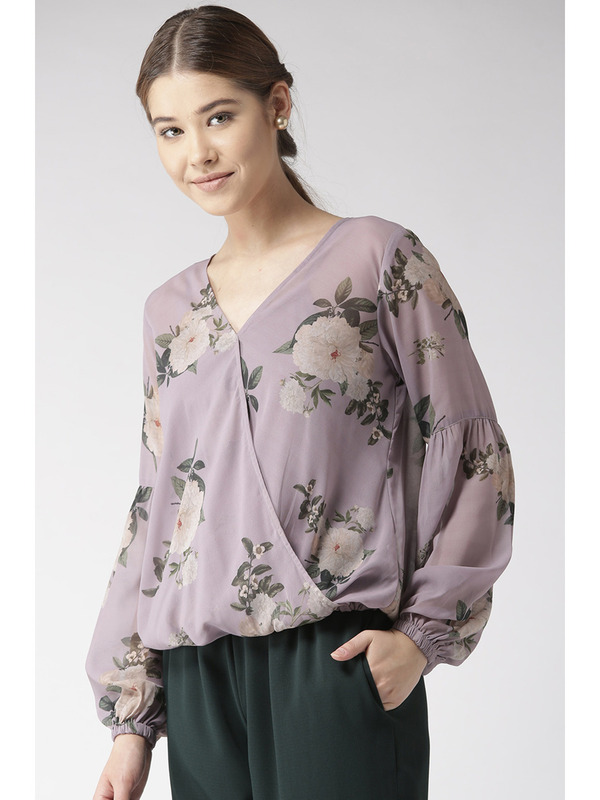 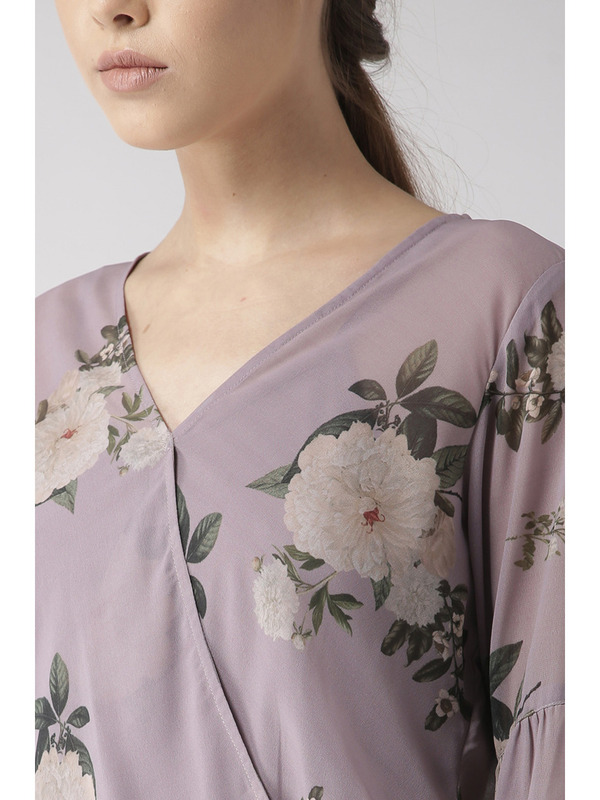 Mauve Floral Printed Polyester Georgette Top. 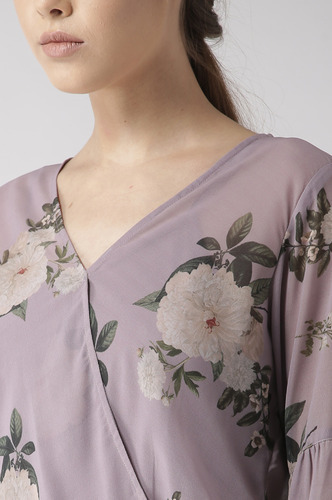 Separate Polyester Knit lining slip given for comfort and ease.